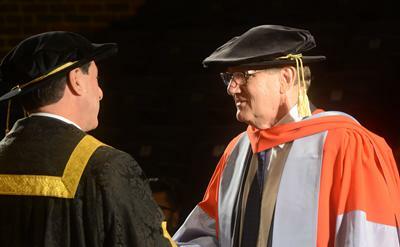 The University of Southampton has awarded an Honorary Doctorate to Professor Bertil Andersson, President and Vice-Chancellor of Nanyang Technological University (NTU), during its 2016 Winter Graduation ceremonies. 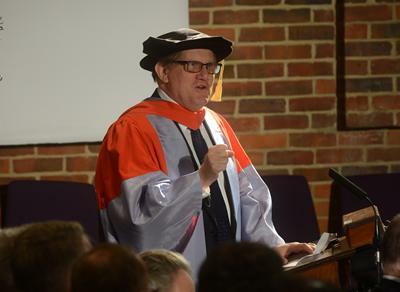 Professor Andersson, a world-leading academic who has demonstrated excellent leadership in higher education, described his fellow graduands as “the heroes of the day” after receiving his Honorary Doctor of Science degree from University Pro-Chancellor, Jon Sopel. “To receive this doctorate is a tremendous honour and privilege,” said Professor Andersson. “More importantly, it is a recognition of the high regard that the University of Southampton has for NTU Singapore, and a testament to the close relationship between both institutions. The NTU-Southampton collaboration is an excellent example of how knowledge sees no borders in today’s world. A world-renowned Swedish plant biochemist, Professor Andersson is a pioneer of photosynthesis research who has authored more than 300 papers with over 14,000 citations. Since becoming President of NTU Singapore in 2011, he has led the University to global distinction. NTU is the world’s fastest-rising young university and is ranked first among the world’s young universities. It also leads the top Asian universities in normalised research citation impact. In the 2016 QS World University Rankings, NTU is ranked 13th globally. Southampton’s 10 winter ceremonies featured around 1,000 graduating students from a wide range of subjects related to the University’s Faculties of Business, Law and Art; Humanities; Health Sciences; Medicine; Natural and Environmental Sciences and Physical Sciences and Engineering.